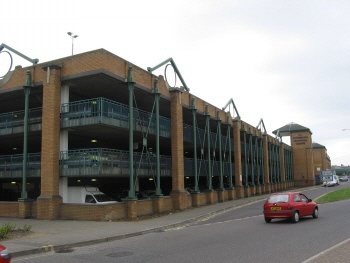 Unlike most buildings, car parks are continually subject to an aggressive environment which can lead to untimely deterioration of the structure and possibly a dangerous structure. Deicing salt brought in by cars will build up in the concrete and when it reaches a trigger level will cause extensive corrosion of the reinforcement which is very expensive to erradicate. However, if caught in time further deterioration can be prevented by the application of relatively cheap waterproof coatings. Before embarking on any remedial measures it is essential that the condition of the concrete is carefully determined including testing samples of the concrete to determine its condition. 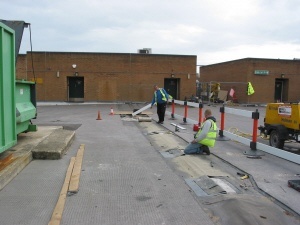 Hurst Peirce + Malcolm LLP work as a joint venture with Sandberg (www.sandberg.com) who are testing specialists, to assess the condition of car parks and to recommend the most appropriate remedial measures to maintain and extend their life. This car park was less than 15 years old but was ready for action to be taken to protect the concrete decks before chloride levels built up to critical levels. Recommendations included surface protection to the decks and soffits. 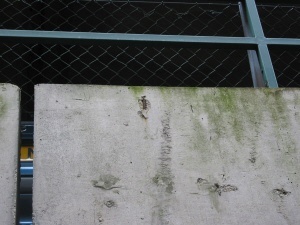 In addition to work required to preserve car park decks, spalling and corrosion can also take place in locations of low cover or porous concrete. These should be repaired and the surface coated with an anti-carbonation coating to slow down the rate of further corrosion. 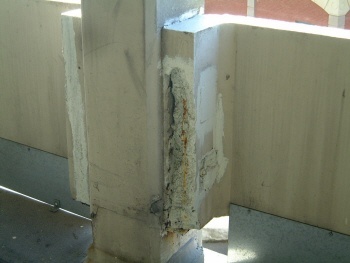 Failing joints are a common problem in car park and elevated service yard decks.These require repair from time to time. Careful detailing of the original joint will lead to maximum life of the joint. 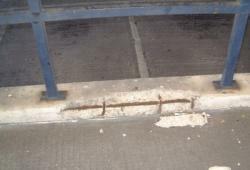 Typical defects in a 1970s carpark. concrete due to low cover. road salt and low cover.